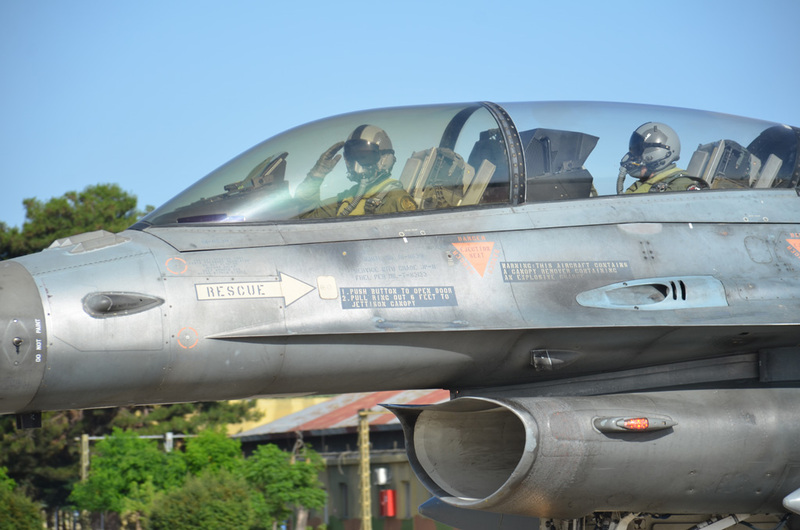 Larisa air base is located around 250km in the south of Thessaloniki, and it is the home of 110 Combat Wing, which is composed by 337 Mira, “Fantasma” (Ghost), equipped with F 16 C/D Block 52, (in the past with F 4E Phantom II) and by the 348 Mira, “Matya” ( Eyes) equipped with RF 4E Phantom II. Greece is member of NATO since 1952, and it has a fondamental role in the defence of the southern border of Athlantic Alleance. However, Greece has been involved in the long “cold war” with Turkey, its eternal rival, even member of NATO, for the supremacy in a part of Eagean Sea, in particular on Cyprus island. In the second half of 1900, there had been several engagements between the two Countries, moving their attention and belics efforts, more towards a reciprocal war, rather than an opposition against Soviet Union, and for NATO , the most of the time, it has been necessary to provide to each one the same weapons and equipment, to avoid unbalance of forces over the Eagean. On November 1984, few times after the Turkish announcement to buy the F 16 Fighting Falcon, also the Hellenic Autorities expressed thair decision to buy the American fighter, in the detail, 34 F 16C and 6 F 16D, to replace the Hellenic F 5 Freedon Fighter. 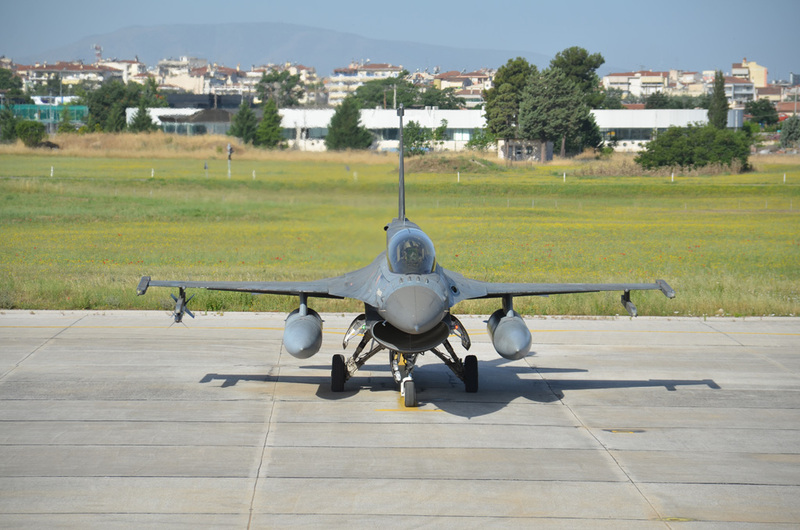 The first package of F 16 C/D Block 30, purchased under the program Peace Xenia I, was delivered to Greece on 1988. 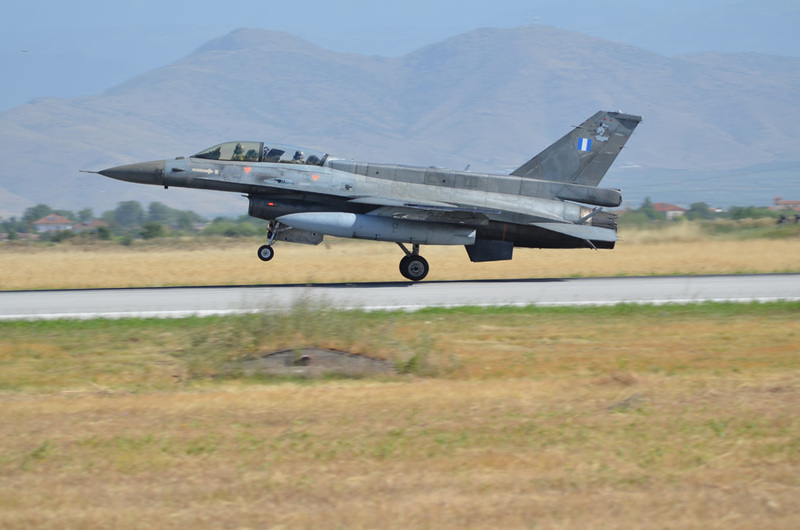 On April 1993, Greece ordered other 40 F 16 C/D Block 50, with enginees General Electric F 100 GE 129, under the programm Peace Xenia II,, and the delivery started on July 1997. The main avionics differences between Block 30 and 50 are Fire Control Radar, AIFF, data link, Colored multi-function displays, Stores Management System Weapon options and other hardware and software improvements (JHMCS) concerning the aircraft’s central computer. 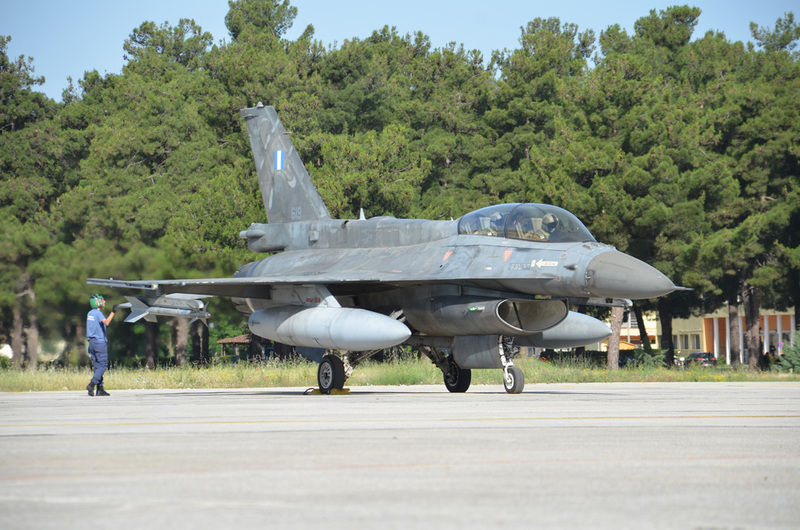 In the aim to oppose the turkish air force incrase, which had 240 F 16 C/D, above F 4Es and F 5s, Athens expressed the request for others 60 aircrafts. 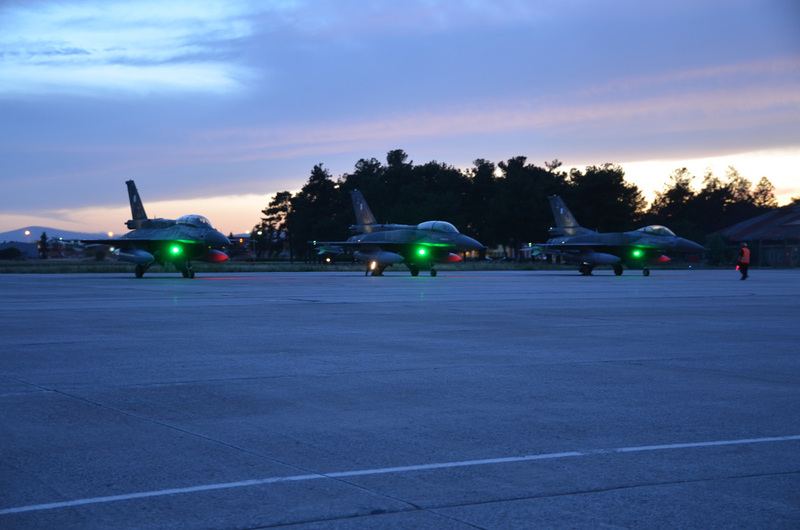 The challengers were rappresented by McDonnel Douglas F 15 Eagle, Sukhoi Su 27, Dessault Mirage 2000-5, Eurofighter Thypoon and Lockheed Martin F 16. Greek Governament decided to use 17 Billions of Dollars for the Defence, and the big part of those was reserved for Air Force. Later the Governament needed to reduce the amont to 1,5 Billions of Dollars. The aspirant which achived the higher score in the Polemiki Aeroporia test ,was the F 15, but its cost, 75 millions, was at that time prohibitive for Athens’s bank, then in second place the Mirage 2000-5, 58 millions, and F 16, 45 millions. Hellenic Defence Ministry expressed even the will to become partner of Eurofighter programm, and to purchase 60-80 aircraft after 2005, but due to Olympic games of 2004, the Hellenic Governament needed to revise the budget for the new fighter, and the final decision, under the programm Peace Xenia III, was to buy the F 16 C/D Block 52+ advanced, composed by 40 F 16C and 20 F 16D. 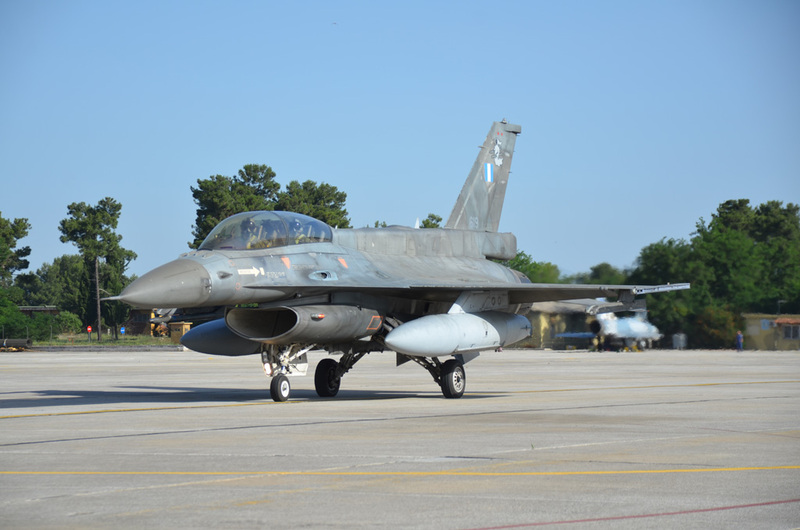 After the cancellation of the purpose to partecipate in the Eurofighter programm, the Hellenic Air Force interest moved again to another supply of F 16 C/D Block 52+, the Peace Xenia IV programm, which provided the delivery of 30 aircrafts between 2009 and 2010. 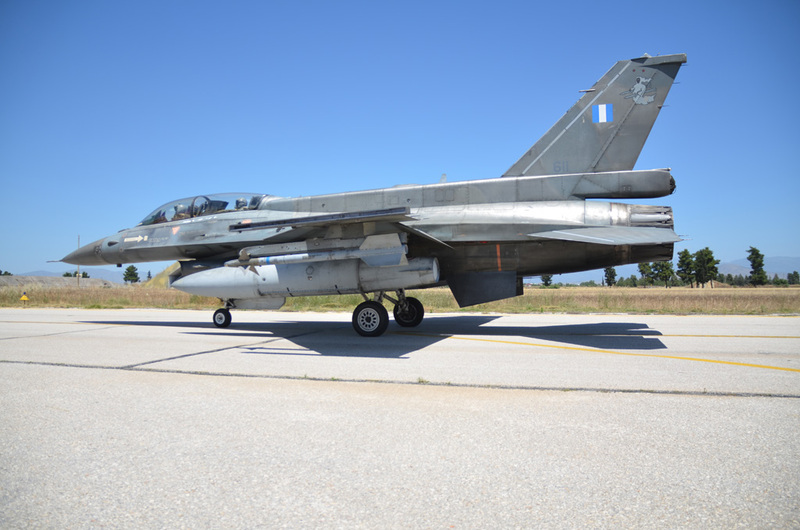 During the time , the Hellenic F 16 improved their air defence capabilities thanks to the AIM 120 C5 Amraam and IRIS-T missiles, while the ground attack missions are guaranted by JDAM and JSOM bombs and AGM88B HARM missiles, and the night missions capabilities were incrased with the purchase of Pod LANTIRN for designation of targets durng night flight. The flight autonomy has been incrased with two external ausiliar tanks located on the fusolage so as to cover the distance till Cyprus. As it is possible to deduce by the Squadron emblem, the Ghost carrying two air-to-air missiles, the main role of 337 Mira is the Air Defence. Talking with Lt.Col Papadakis about the Hellenic F 16 Pilot’s training, he explains that annual flying hour Program is a requirement-based program, consisted of the flying hours necessary to train aircrews in order to maintain cambat readiness for all aircrew, test weapons and tactics, and satisfy other collateral requirements. 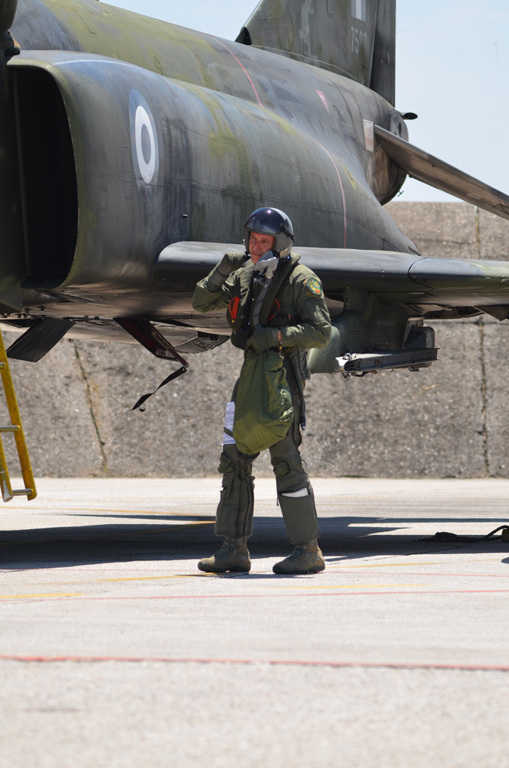 It is tailored and based upon the training requirements and aircrew’s experience in order to perform efficiently required hellenic Air Force missions. Experienced pilots must fly a minimum of 120 sorties annually and inexperienced pilots 150 at least. 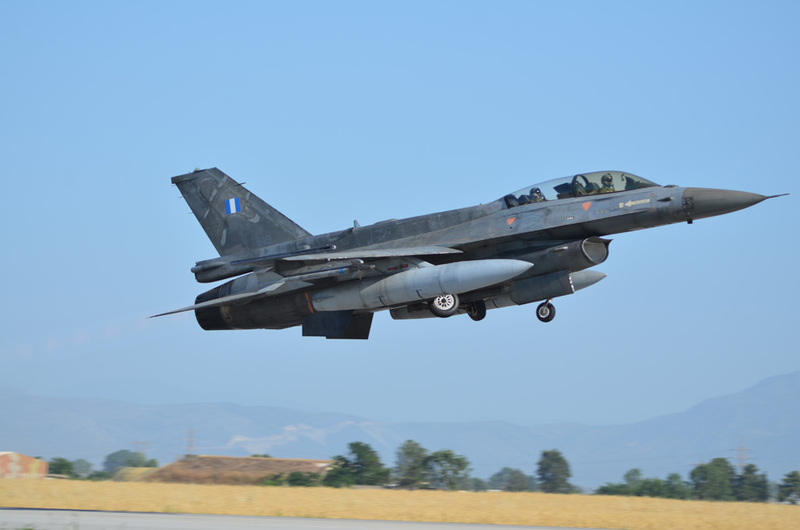 As in any well governed State, each time violations and infringements of Air traffic ICAO regulations are committed, the Hellenic scrambles fighter jets take off to intercept violating aircrafts. All aircraft violating Hellenic Airspace are identified and intercepted according to the relevant international rules and procedures. 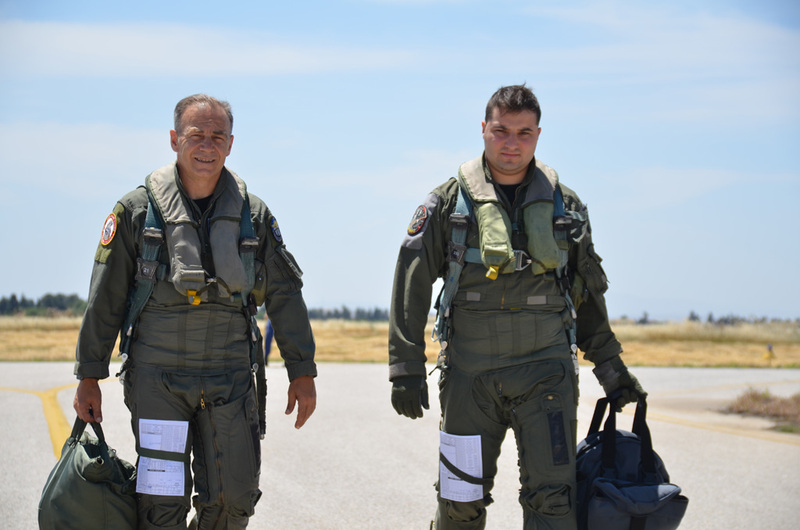 It is a fact that the vast majority of aircraft violating our airspace, explains 337 Mira Commander, are Turkish military aircrafts, and this reality brings the Hellenic fighter pilots to be always ready to execute their profession with the maximum of devotion to protect their People. Closer to the shelters of 337 Mira, are located the shelters of 348 Mira, which give protection to the RF 4E Phantom II. 348 Squadron was found 63 years before, on 1953. Missions were carried out using the F-84G aircraft with cameras installed at the front section of the left wingtip tanks. Two years later equipped with the specialized recce aircraft RT-33. On 1956, 348 Squadron received the new modern recce aircraft RF-84F. The new aircraft were equipped with three cameras in the nose section for conducting daylight missions. They were capable to photograph targets independently or even with overlaps covering areas from horizon to horizon making use of all three cameras simultaneously resulting in high resolution pictures. 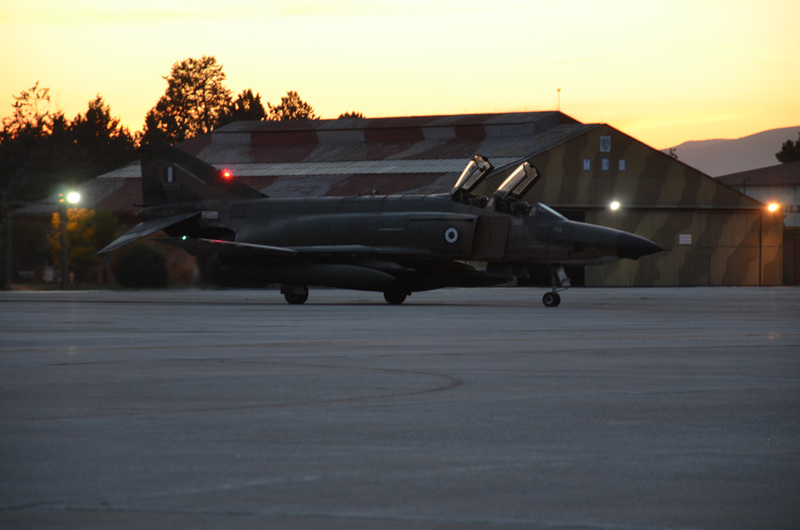 The most important chapter in the history of 348 Squadron opens with the introduction of the RF-4E Phantom II in the Hellenic Air Force inventory, in the fall of 1978. 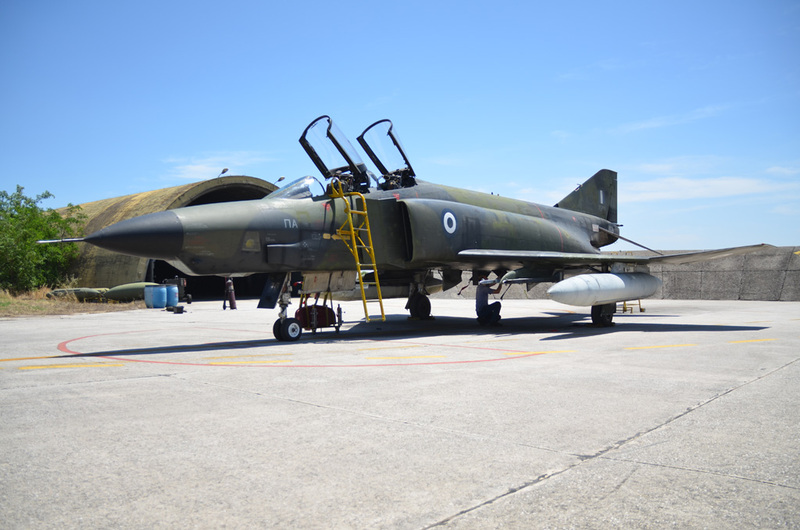 Following the continuous crises between Greece and Turkey after the 1960s, the Polemiki Aeroporia undertook a major upgrading program including the procurement of the McDonnel-Douglas F 4E and RF 4E Phantom. 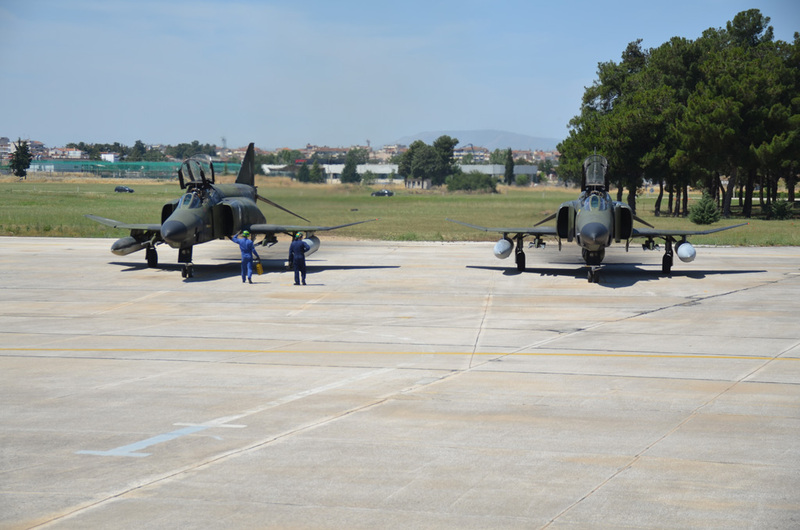 The Phantom introduced to the Hellenic Air Force the new concept of multi-role as well as a new operational mentality and tactical development. 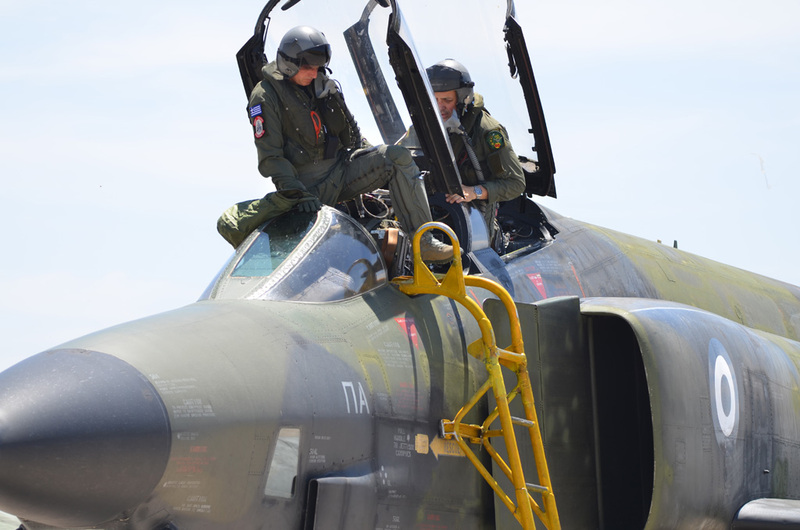 The Phantom transformed the HAF from a force with limited capabilities into a force that could carry out complex offensive air operations comprising precision strike while employing notable firepower, day and night, regardless of weather conditions. 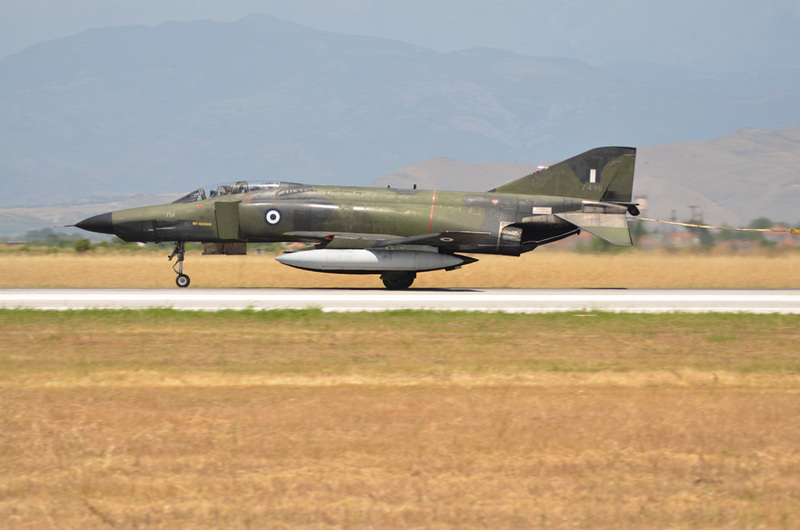 The very first Recce-Phantom s/n 77-1761 (of the total eight aircraft) touched the runway at Larissa on the 3rd of November 1978 following a three day journey from St. Louis. The Phantoms and the Thunderflashes served together under the emblem of 348Mira for about 12 years. In March 1991 after serving worthily for 35 years over the Hellenic skies the dependable RF-84F retires from the front line service. 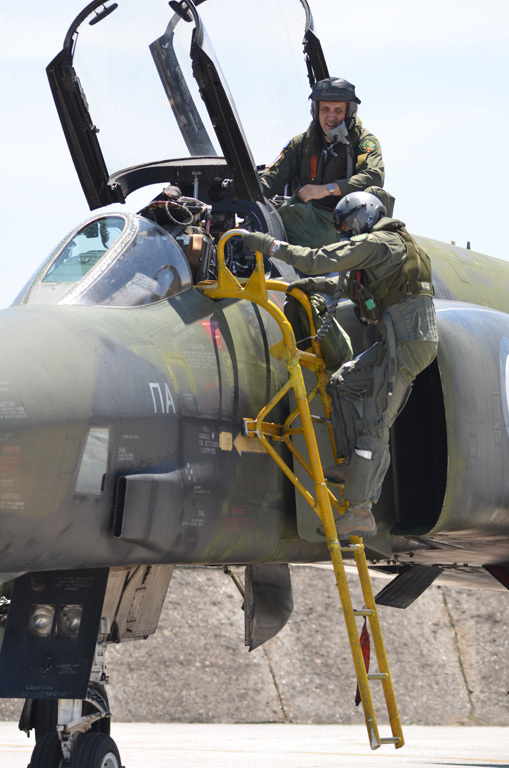 After the collapse of the Soviet Union and the Cold War in 1990 and the Conventional Armed Forces in Europe treaty, the Hellenic Air Force received from the Luftwaffe 27 RF-4Es with the first jets arriving in Tanagra air base in May 1993. 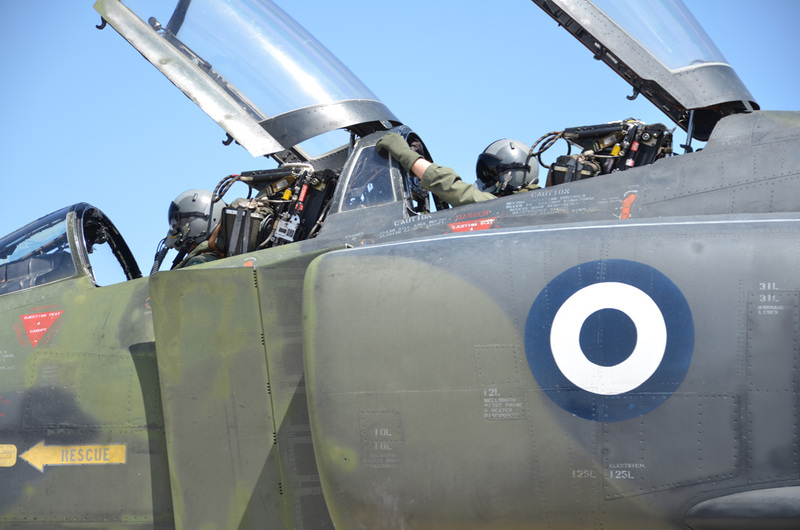 Twenty of those airframes undertook the necessary inspections at the Hellenic Aerospace Industry in order to join the squadron fleet while the remaining seven served as a spare parts source. 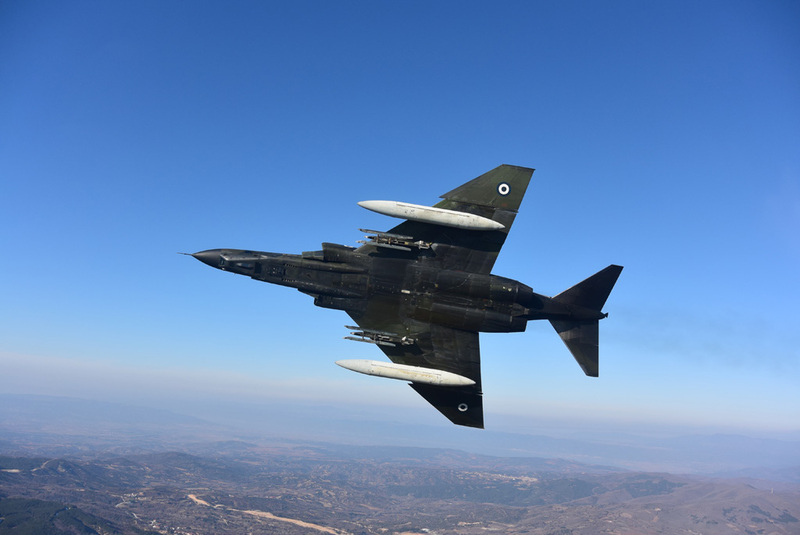 Despite the fact that the ex-German jets were received without RWR equipment (Radar Warning Receiver) and lacked the ability to carry and launch Sidewinder missiles the Hellenic Air Force managed to overcome these inadequacies acquiring a worthy fleet of recce Phantoms. Another fundamental moment in the RF 4E’s story is identified in 2003, when another role was assigned, the Electronic Intelligence operating the ASTAC (Analyseur de Signaux TACtiques) Pod manufactured by Thales over handing to the Hellenic Air Force the capability to acquire radar and communications emissions. A great amount of the training effort is dedicated to the ELINT role as the Squadron is the sole operator of such equipment. Despite the Phantom is not a new generation aircraft, the element which can make the difference in a real combat, is the human factor. It is accurate to state that a truly fine selection of pilots and specialist, work hard to bring life to the Phantoms, even after 38 years of hard service. Phantom aviators front the challenge of flying and fighting in a real legend of the sky that demands their total attention and skill with little tolerance for errors, and maintenance crew struggle to cater for his aging body, thus keeping the aircraft longer and longer in the air. 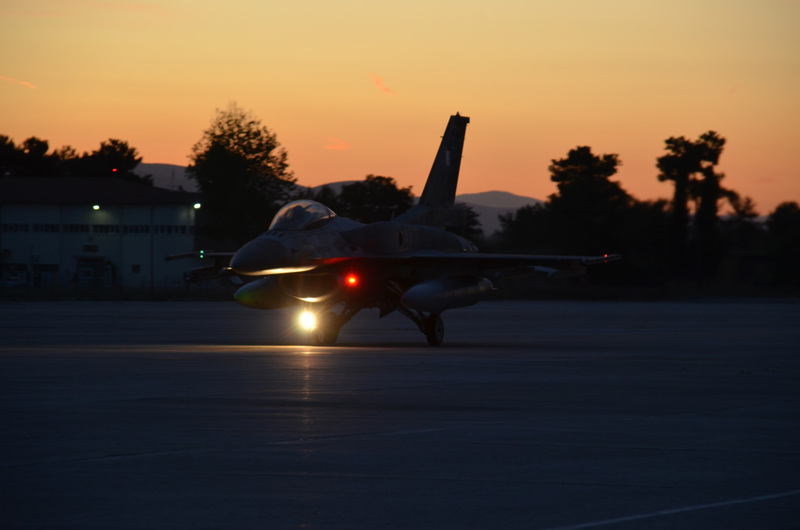 The presence of 348 Mira in the NATO joined exercises and in the demanding courses of the Hellenic Fighter Weapons School, in Andravida air base, confirms that the true fighting spirit remains the same. Intelligent tactics, experience and responsive brain storming can make all the difference in a challenging environment such as the Aegean Sea. The primary mission is all-weather, high-low, day-night selective reconnaissance using two types of sensors: optical and infrared. The sensors are installed in the nose section behind the radome in three stations for forward oblique, side oblique and vertical photography. This is the most important advantage compared to other aircraft that using recce pods, because it greatly increases the combat range. Unfortunately all the cameras are still using negative films, so the Phantom has to get back safely to its air base to deliver the valuable material for processing and evaluation. The RF 4E can carries in its nose four different types of photocamera, one of those is the enormous KS-127A, with 66 inch lens, used in the LOROP (Long Range Oblique Photography) technique that still provides high resolution images for range up to 60 miles in fair weather conditions, and which can take pictures from an altitude of 35.000 feet, the KS 87B (18 inch lens), for medium altitudes, 5000ft-25000ft, the KS 56E for low altitude, below 5000ft, and the AAD-5 with infrared systems which can shot night images. The LOROP is very much appreciated by the pilots because it gives them the capability to fly close to the eastern borders at 35.000ft and get images from the opponent’s areas of interest. The number of pictures that RF 4E can take for each one mission, it depends by the nature of the mission that we have to achieve, (pin point targets, line search, area search) explains Ten.Col. Manolis Boutouridis, Pilot of 348 Mira. 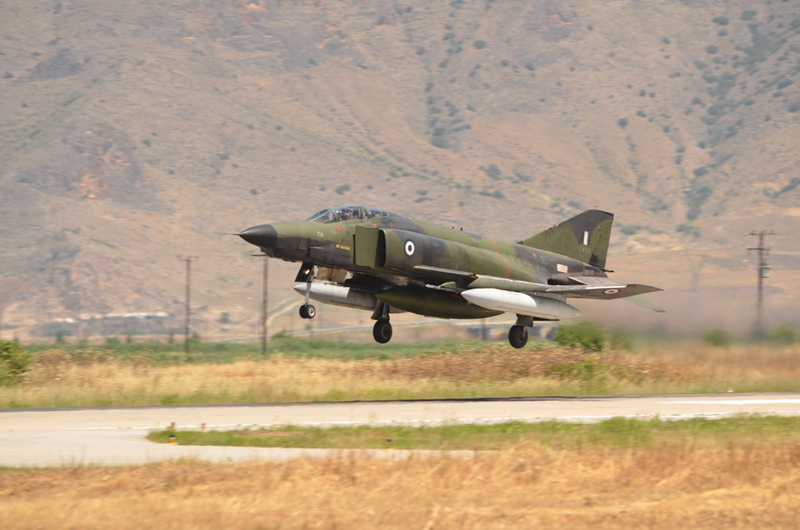 Hellenic RF 4E, such as their USAF mates over Vietnam sky, can boast of real operations, when in 1996, Turkish army invaded the Greek island of Imia, and Recce Phantoms were used for reconnaissance missions over Turkish forces. Nowadays, Recce assets in most cases operate as part of a COMAO package. The difficult role of Battle Damage Assessment within the COMAO is assigned to the RF 4Es of 348 Squadron. 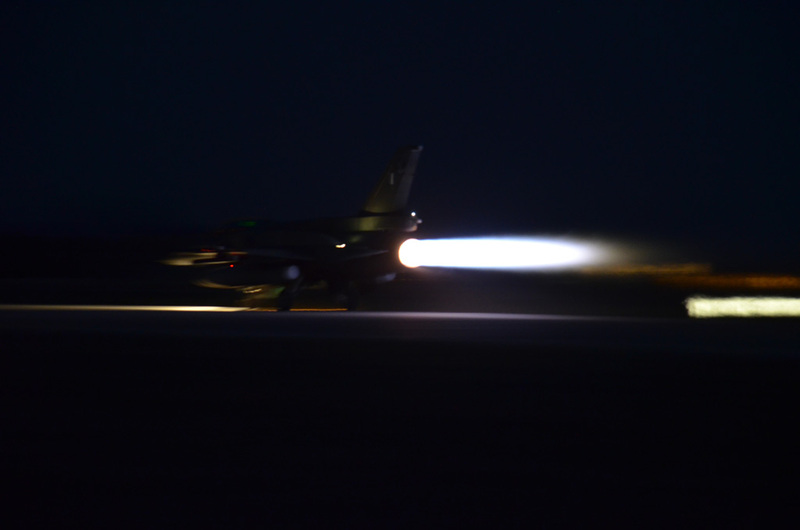 These aircraft execute orbits in predetermined areas (“loose time” areas) with the purpose of giving the strike fighters time to hit their targets and to let the dust and smoke clear over the area. When necessary, CAP aircraft patrol these areas above the reconnaissance jets, protecting them against any potential enemy action. A factor that greatly increases the complexity of missions is the need for low level flying. Flying close to the ground can save lives but it can also kill, explains Lt.Col. Boutouridis. 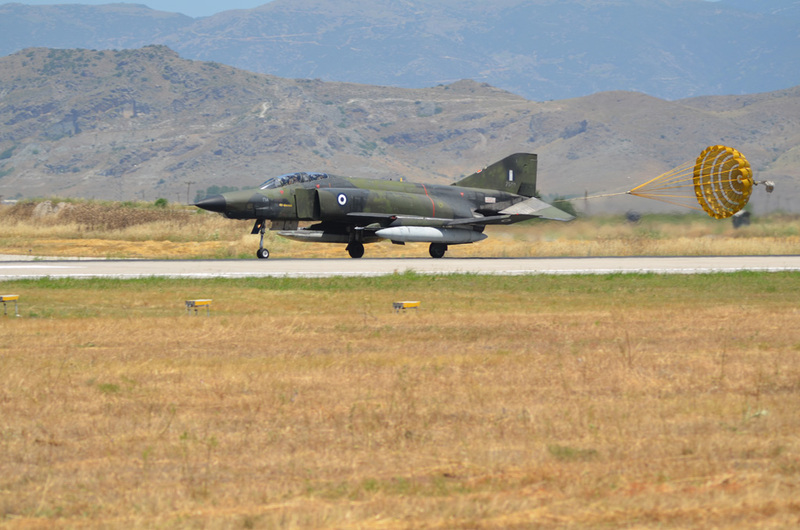 As a result, flight crews train for low level flying in the rugged Greek terrain. 348 Mira crews are famous for their ability to fly extremely low, only a few feet above the treetops, increasing their chances of survival in a hostile environment. The environment that the RF 4Es crews are called upon to operate, the Aegean Sea, is very demanding in terms of terrain structure and proximity with any potential rivals. 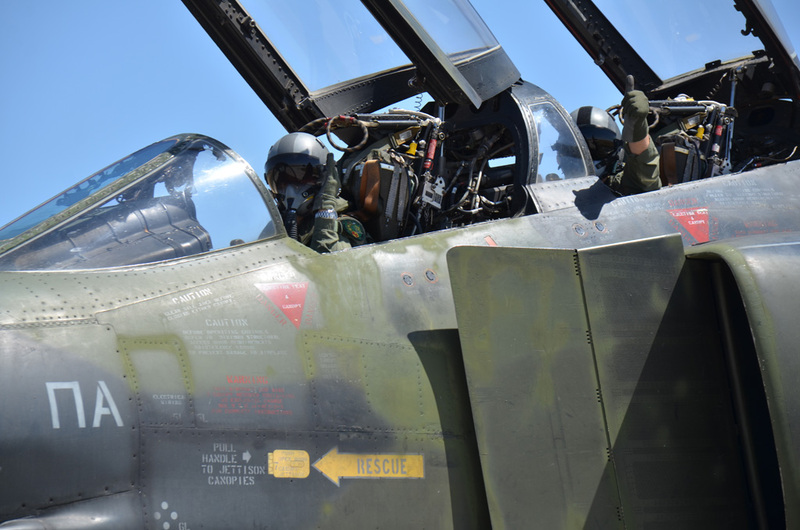 One of the key features that are required to survive on that is sufficient experience, and after 38 years of operations in this area, there is no limit in mission planning for 348 Mira’s pilots. Above its value such as weapon system, the Phantom is a unique aircraft, explains Ten. Col. Dimitris Papadimitriou, Commander of 348 Mira, and its inherent design features make it fairly demanding, requiring the pilot to have complete knowledge of its flying characteristics, together with full respect. For instance, among the features not usually found in other jets is the fact that its behavior changes dramatically as the speed drops. Until it exceeds 15° angle of attack (AoA), the Phantom turns only using the stick, from 15°to 25° AoA it turns with a combination of stick and rudder pedals, and above 25° AoA it turns only with the rudder pedals. There are limitations in throttle use at high speed, since improper throttle movement may result in pilot-induced oscillations. When loaded with fuel and ordnance, the Phantom’s response to stick commands in terrain-masking situations is quite stubborn. Flying close to the ground at 400-420kt and at an angle of 135° (almost inverted) the pilot must unload the stick, and use a combination of stick and rudder to fly the jet safely over the terrain. It is an uncomfortable feeling, especially for young pilots practicing terrain-masking, when they continue to pull on the stick as they would do in any other jet. The Phantom demands a great deal of attention when it comes to monitoring the flight parameters and fuel management, all of which is done manually. This becomes even more critical when the Phantom is loaded to its limits. At all times the pilot must keep their right thumb on the trim selector and respond to the minor adjustments needed to retain the pre-determined flight profile. However, once mastered, the Phantom can be flown confidently in combat. The sense of this is that if you respect the Phantom, it gives you the best performance and the best experience of flight, but if you try to tame it, or if you try to go over the limits, the end could be to use your parachute pulling the ejection handles of the Martin-Baker MK 7. 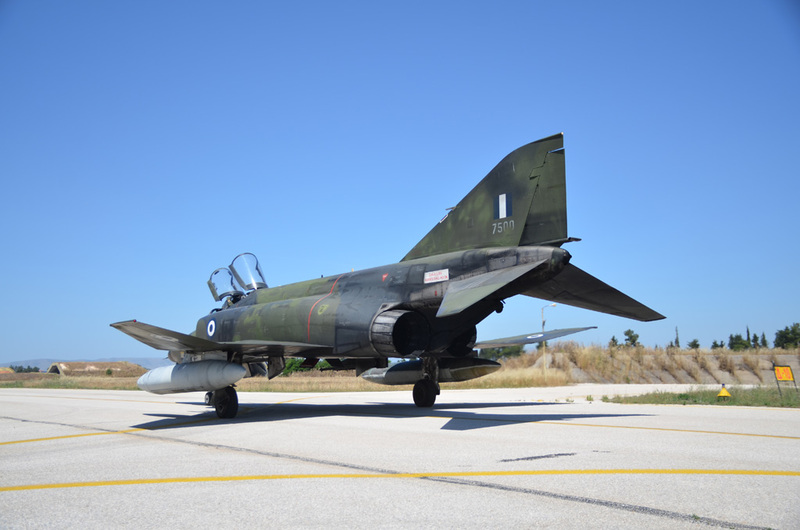 Nowadays, only few RF 4E are still operative, and the Hellenic Air Force decided the retirement of Recce-Phantom probably on May 2017. 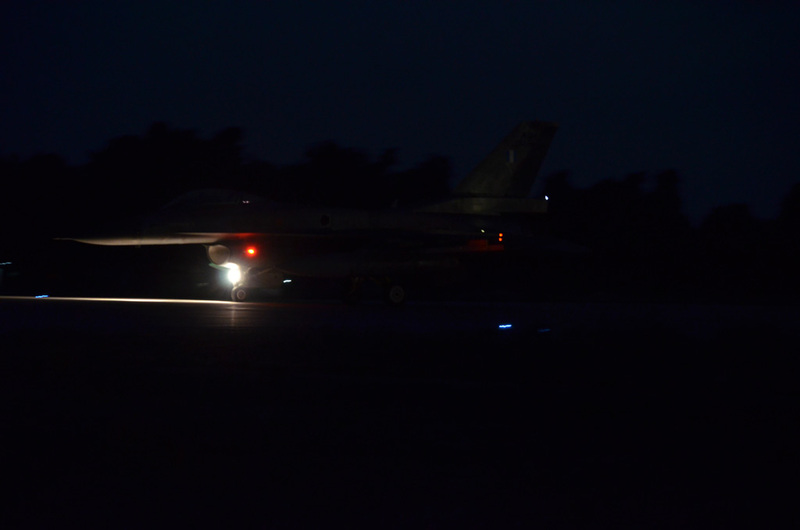 As you know, Col Dimitris Tsirogiannidis, Commander of 110 Combat Wing explains, we are the last Europeans users! Our Recce Phantoms completing this year, 38 years in service and a withdrawal program is running already, and immediate action must be taken for replacement solutions in reconnaissance role. Partially the needs could be satisfied by the F 16s with the DB 110 pods while the demands for the ELINT/SIGINT role can be fulfilled by integrating the ASTAC system into another platform such as the Mirage 2000 or the F 4 E AUP (Avionics Upgrade Program). Developments in technology and the experience from the Air Arm’s contribution during the recent combat engagements in the planet have brought significant changes not only in the air combat and related tactics but also in the employment of reconnaissance aircraft. Under the environment of electronic warfare, the sophisticated recce pods entry into service and the introduction and the full exploitation of UAVs (Unmanned Aerial Vehicles), the function of dedicated recce aircraft diminishes. However, restrictions in the use of recce pods and the inherent disadvantages of UAVs still prevent their full dominance from the tactical reconnaissance aircraft. As we told, the human factor remains irreplaceable. The experience from the air crew and the ability of decision making cannot be replaced by a black box that flies hundreds of miles away from its operator. 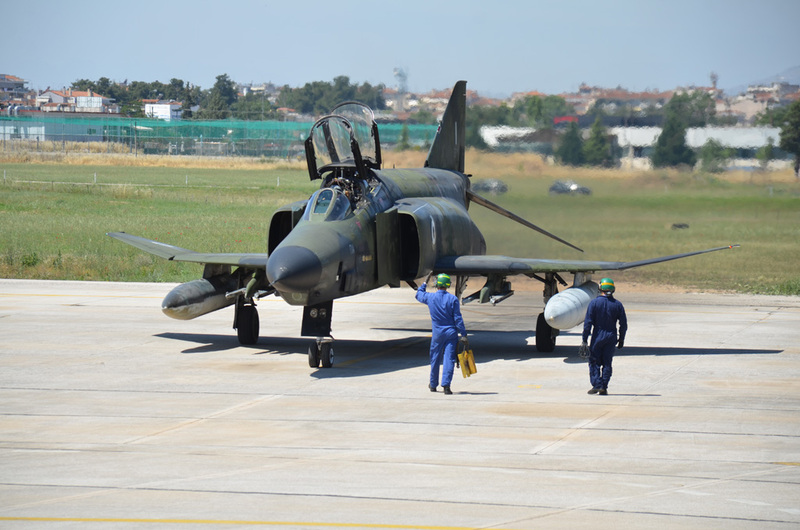 Of course, Col. Tsirogiannidis concludes, our technicians are working very hard to maintain the Phantom in operative conditions, and we, the pilots, to operate them in the modern field. However we are very proud of flying with the Legend of Military Aviation!